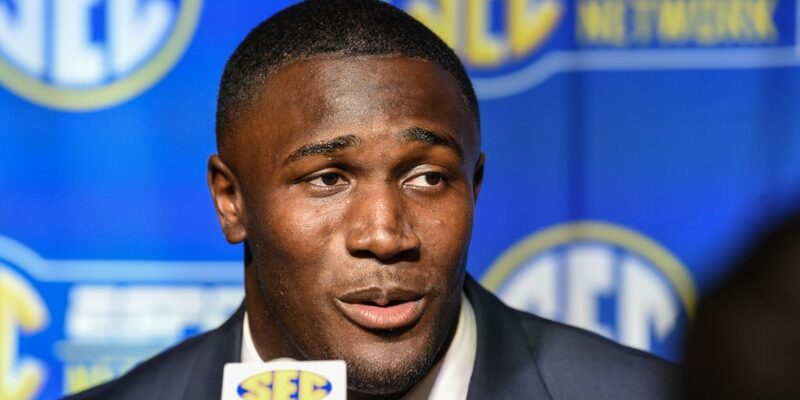 ATLANTA — It’s hardly a challenge to get Devin White to smile. Whether he’s talking to the media or engaging in some friendly banter with teammates, plenty of things put the LSU linebacker in a good mood. 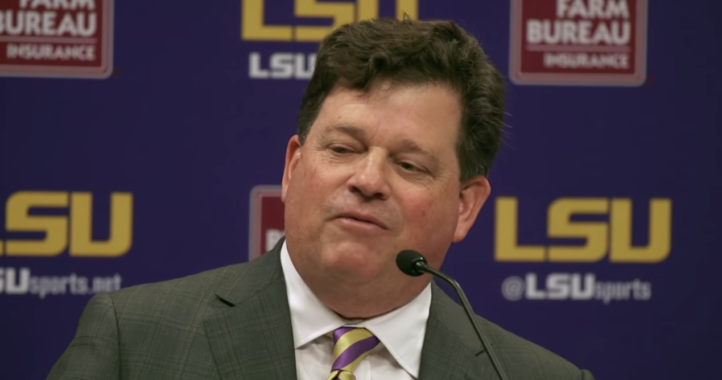 White had a smile on his face when he began telling reporters at SEC Media Days about a bet he made with new LSU quarterback Joe Burrow. During 7-on-7s, Burrow responded to White’s guarantee that he’d intercept him during fall camp. “(Burrow) said, ‘Put your money where your mouth is,’” White said. So Burrow told White that if he picks him off during fall camp, he’ll give him $100. And what if White doesn’t pick him off? White is relentlessly competitive. Get him talking about serious business — like trying to be beat Alabama for the first time — and that side comes out. But bring up his horses and that smile suddenly represents a much softer side. 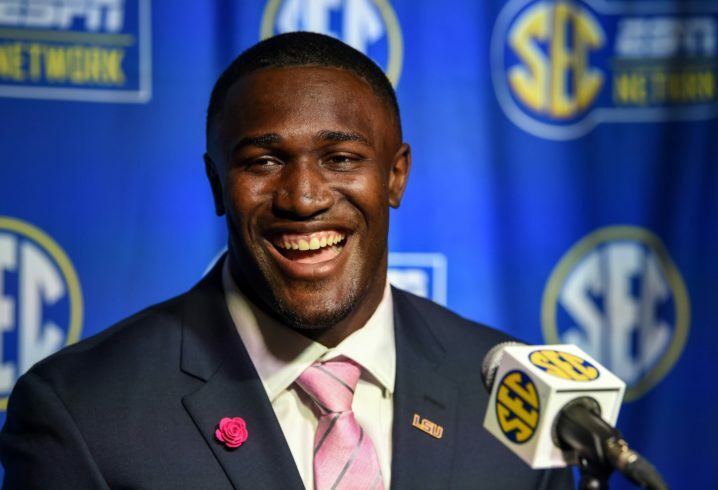 When SEC commissioner Greg Sankey kicked things off in his opening statement from SEC Media Days in Atlanta, he touted the variety of player representatives on hand. That included White, who as Sankey said, owned 7 horses. So naturally, when White was asked about that later at SEC Media Days — like, how does an LSU linebacker accumulate 7 horses — he chuckled. That gave him an excuse to talk about his other passion for the next several minutes. “It’s like my kids,” White said. Just before SEC Media Days, White added another member to his horse family. He purchased a Tennessee Walker horse named “Daisy Mae,” who’s 5 years old and now lives a mile off LSU’s campus at BREC Stables in Baton Rouge. White visits her every day during the summer. It’s exactly the kind of distraction that White welcomes in his increasingly-hectic bubble. “She’s made my life easier this past week, because I go spend time with her and there’s not a lot of outside noise,” White said. In many ways, White’s two passions have always gone hand in hand. He started playing football around age 5 or 6, which was also the same time he started riding horses. If patrolling the Tigers defense is where White’s at home, winding down with his horses is his home away from home. Or maybe it’s the other way around. "I feel like I’m in heaven on earth when I’m with my horses." Clearly, White gets a certain joy from taking his mind off defending run-pass options or breaking up a pass in the slot. He definitely doesn’t hear a peep about LSU’s daunting 2018 schedule or his NFL draft stock from Ricky Bobby or Daisy Mae. Like his horses, White admitted that first-team All-SEC accolades aside, he has areas to improve as well. Despite the fact that he led the Tigers with 133 stops, he’s still determined to clean up his tackling. White’s ability to make the right tweaks in his game is why he’s widely regarded as one of the top returning defensive players in the country. The converted running back — White was the No. 5 running back in the 2016 class, just ahead of Georgia’s Elijah Holyfield — made the full-time switch to linebacker once he got to LSU, and almost instantly he became an impact player. When he became a full-time starter in 2017, White got a harsh reality check in September when the Tigers fell at home to Troy. The following Sunday, Ed Orgeron brought White into his office and told him point blank, he needed more from the sophomore linebacker. And for the rest of the season, White acted and played like an All-American. He was named SEC Defensive Player of the Week the following 2 games in key wins at Florida and in a thrilling comeback against Auburn. By season’s end, White earned the honor an SEC record 4 times, all of which came after the Troy loss. More importantly, the SEC’s leading tackler fueled a 6-1 finish to the regular season. White’s steadying presence helped take the early-season heat off Orgeron in his first full season on the job. The Tigers will need every bit of their horse-loving linebacker to navigate through their 2018 schedule. Five of LSU’s first 8 opponents could easily begin the season ranked in the top 15 of the Associated Press poll. Perhaps that’s why early projections have the Tigers coming up short of 8 wins for the first time in the 21st century. "(White’s) the reason we got to turn around our season last year along with his teammates. So he’s done it before. He’s prepared to do it this year." It won’t take a loss to Troy for White to step up this year. 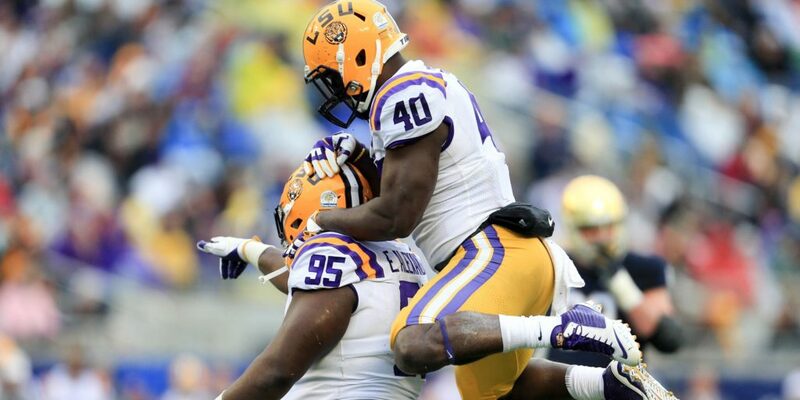 He knows exactly what’s expected of him as the leader of LSU’s defense, on and off the field. 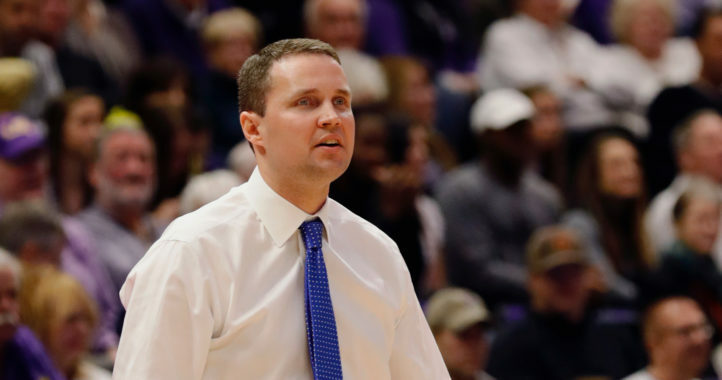 Now that he’s got Daisy Mae in Baton Rouge, White will have more opportunities to share his favorite stress relieving activity with his teammates. He said that he has taken teammates with him to see his horses before, though he doesn’t let them ride. According to White, Greedy Williams and Cameron Lewis are making steps to get on a horse while Grant Delpit is “terrified” and won’t even touch one. As White knows, it takes a while to learn the ins and outs. A calm, cool approach is key. But before he rides off into the sunset, White has some business to take care of. Improving LSU’s No. 70 FBS ranking in takeaways — and perhaps pocketing $100 from his new quarterback in fall camp — would be a nice start. Ending LSU’s 7-game losing streak against Alabama is also high on the to-do list. If White has it his way, the next time he’ll be back in Atlanta will be to play in an SEC Championship. If that happens, White will have an even bigger smile come early December. And he’ll probably have a couple more horses, too. I’m hoping White’s mother makes him stay one more year at LSU until he at least graduates. I’m guessing with all of the good defensive linemen coming out this season from Clemson, Auburn, Moo State, Ohio State, etc., that our junior defensive linemen will go ahead and wait another year to come out. If they do, they will be much higher draft picks and LSU should have a very good chance for a natty next season. At least my fingers are crossed.